Opening in March 2012, the Jugged Hare is the 7th venture from the ETM group, run by brothers Ed and Tom Martin. The restaurant has a very unique feel. The entrance to the property is decorated as an traditional London pub, with fantastic ales, wines and sharing plates on offer. The walls in this area are adorned with stag heads and stuffed birds and hares encased in glass boxes, making for an interesting and intriguing back drop. To the right of the bar, towards the rear of the property is the dining room, with a walk-in wine cellar, open kitchen and working spit. Downstairs there is a private dining room, which can be hired, as well as be used for a number of tasting events which are often held there. 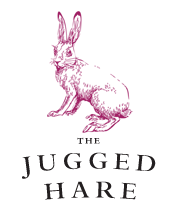 The emphasis at the Jugged Hare, is on being able to enjoy the best quality food and drink, in a unique atmosphere. Surrounded by the animals, leather and wood, it certainly feels like a step into the countryside, especially when you’re in the middle of the city! The Jugged Hare is perfectly placed to meet the needs of the surrounding offices, and has proved popular with them since opening, whether this is for a quick business lunch, or an after-work drink with colleagues. The venue is open from breakfast (which it serves for the neighbouring Montcalm Hotel) and goes right the way through until dinner service. The food on offer changes on a weekly basis, and as such, so do the wines, allowing the sommeliers to get the most out of their By The Glass system by introducing their diners to new and exciting wines which match the food perfectly. The wine list is extremely well put together, and means that there is sure to be something for everyone’s tastes, both by the glass, and by the bottle.